Have you ever wondered why some companies do what they do?, Why do Hotpoint make washing machines?, Why do Dyson make hoovers?, Why do Casio make watches?,Why do Yale make locks? or Why do Baxi make boilers? 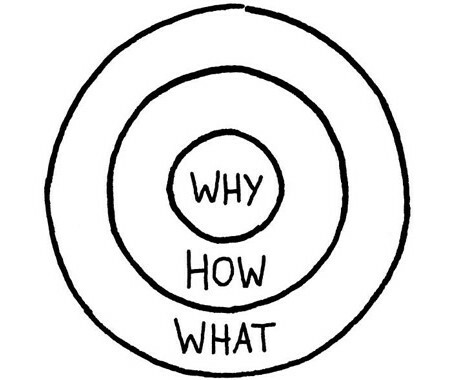 If you haven’t already then I urge you to read a book called ‘Starting with why’ by Simon Sinek. It’ll change the way you think about marketing and differentiating your business from the competition. The book talks about how some companies became so successful by communicating the why’s (beliefs, causes, visions) before they communicate what they do & how they do it. Simon explains the theory of the Golden Circle. He explains how Apple’s marketing success is based on the ‘golden circle’…..marketing from the inside out. Most company marketing efforts will be communicating ‘what they do’ and how they do it’ first (two larger circles shown above). An example of a company marketing what they do and how they do it is when we hear statements like this 'We manufacture ________ by using the latest machinery and technology in the __________ industry today'. But most company marketing efforts won’t explain WHY they do what they do. Simon Sinek refers to this as 'making the invisible visible'. The why of every company is invisible yet the what and how is very visible. Why does the company you work for do what it does? 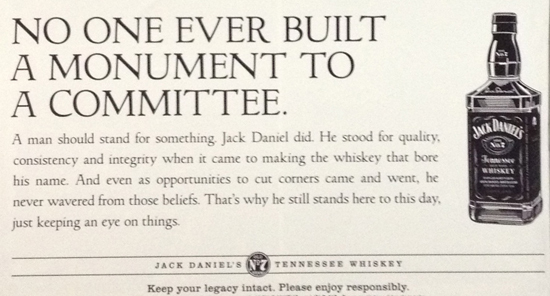 For just a moment, take the time to think about why the company you work for does what it does. Not just what it does….but why it does it. The founder of the company you work for had the opportunity to go into so many other areas, industries and products…..but he/she/they chose the thing you are marketing right now. Why? Do you know? Probably not right? Flick through any magazine and what you’ll see is ad after ad 'We do this…' and 'We make that' and 'We make this better than anyone else'. A few months back I asked a few of my Twitter followers ‘why they do what they do’. All of the replies explained what they did. Not why. 'To make good money' – This is a result of what you do. 'To create high quality products'– This what you do. Not why. 'Our directors had experience doing it before' – This is what they did. Not why they did it. Now, going back to who you work for. Find out why the company does what it does. And then market the ‘why’. This is what will truly make your company different from your competitors. Anyone can copy your business model, your products and services. But they can’t copy the why, the cause and the belief of what the business does. If you have any examples of businesses who market the why well then please do share them in the comments section below. Thanks to to Pritesh Patel for sharing his thoughts and opinions in this blog post. Pritesh is a B2B digital marketer with a keen interest in search engine optimisation, web analytics and strategy development. You can connect with him on LinkedIn or Twitter.